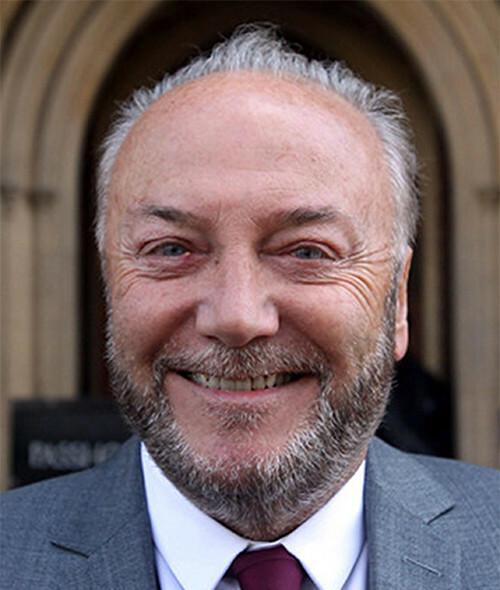 Mr. George Galloway was a Member of Parliament for 23 years, having been elected five times. He was the youngest ever elected chairman of the Labor Party in Scotland at the age of twenty–six, having become a full-time party organizer three years earlier. In 1980, he formed the British Trades Union Friends of Palestine and became its first General Secretary. In 1982, he founded the Emergency Committee against the invasion of Lebanon. In 1990, he was one of the leading opponents of the war in the Gulf and a known opponent of the Iraqi government. In 1991, he formed the Emergency Committee on Iraq and remains its chairman. The Committee renamed itself the Emergency Committee on Iraq and Palestine (ECIP) in the year 2000. In 1990, he was awarded Pakistan’s highest civil award, the Hilal-i-Quaid-i-Azam, for services to the restoration of Democracy in Pakistan. George Galloway is also a founder member of the Cairo conference bringing together Islamist, Nationalist and Socialist trends from around the world to work against globalization, occupation, and war. He is a founder of the Stop the War Coalition UK and is currently its Vice-President. The Stop the War Coalition mobilized two million people to protest against the war on Iraq (the largest demonstration of people in British history). In 2009, he founded Viva Palestinia, a registered charity that raised over million pounds of aid which are taken to Gaza on a convoy of vehicles from the UK, thus breaking the illegal siege that the long-suffering people of Gaza have been subjected to. George Galloway now writes a weekly column for the Daily Record, and also writes for the Guardian and the Morning Star. George Galloway is a frequent broadcaster, author, and public speaker; he hosts a national phone-in show every Friday and Saturday evening on talkSPORT. He was awarded Parliamentary Debater of the year in 2003, by the Parliamentary Press Corps. George Galloway is the author of Downfall: The Ceausescus and the Romanian Revolution 1990; I’m Not the Only One 2004 and The Fidel Castro Handbook 2006.